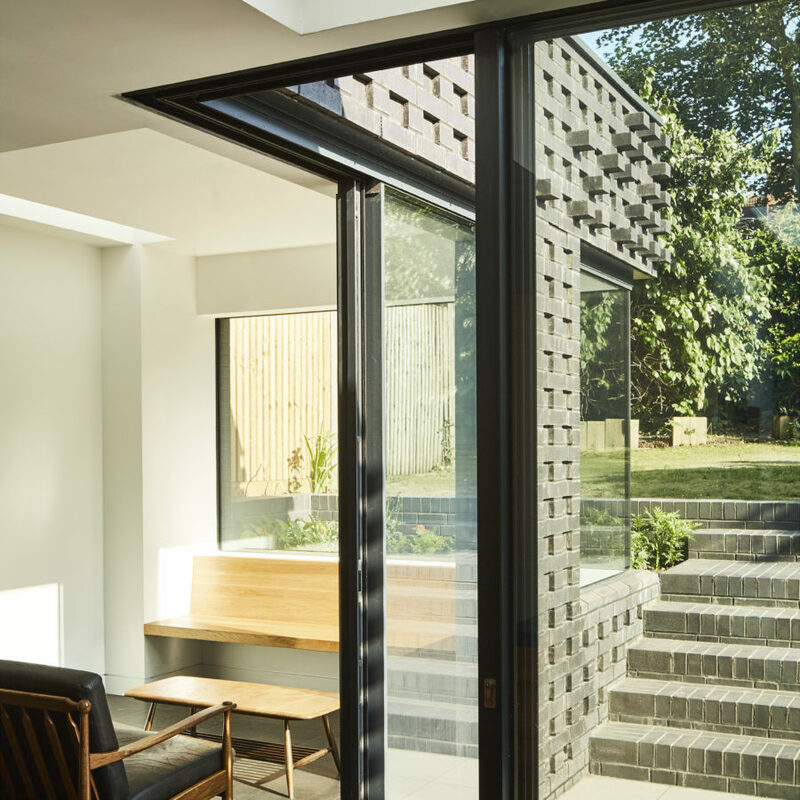 Ridge Road is an imaginative single-storey replacement ground floor side and rear extension to an end of terrace Edwardian property in Crouch End. 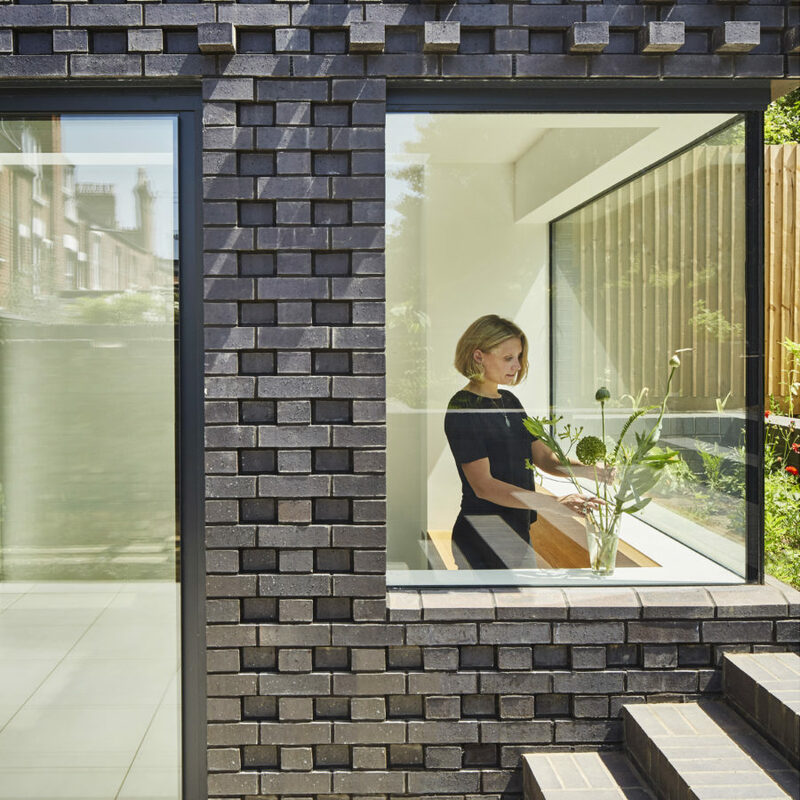 The brief was to improve the ground floor living spaces to accommodate the needs of modern family life. 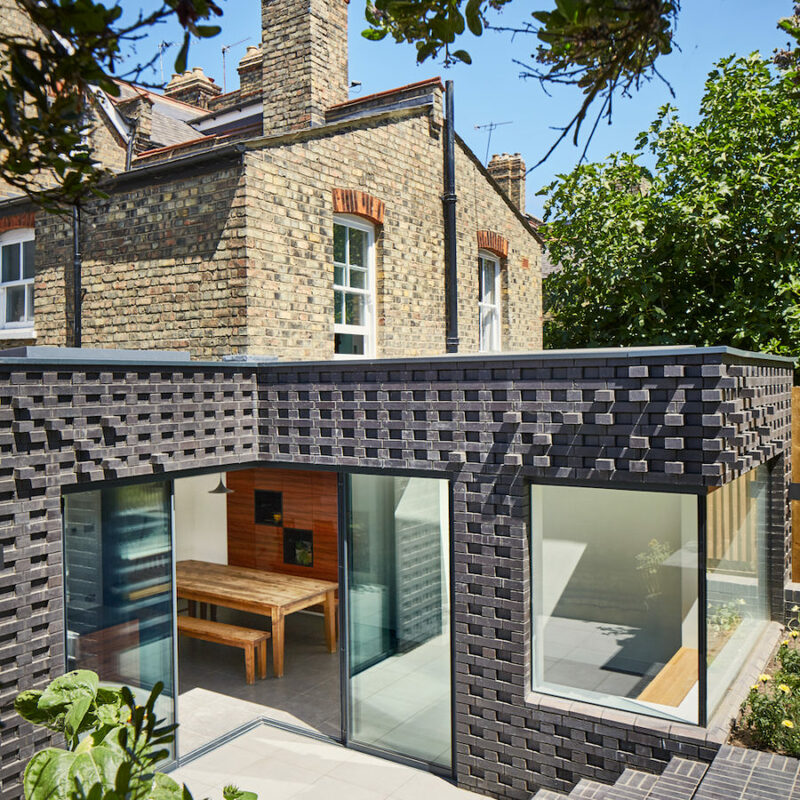 Inside, the two new extensions, which are flooded with light from two roof lights and large areas of glazing, are connected with an open plan dining area that sits within the original house. 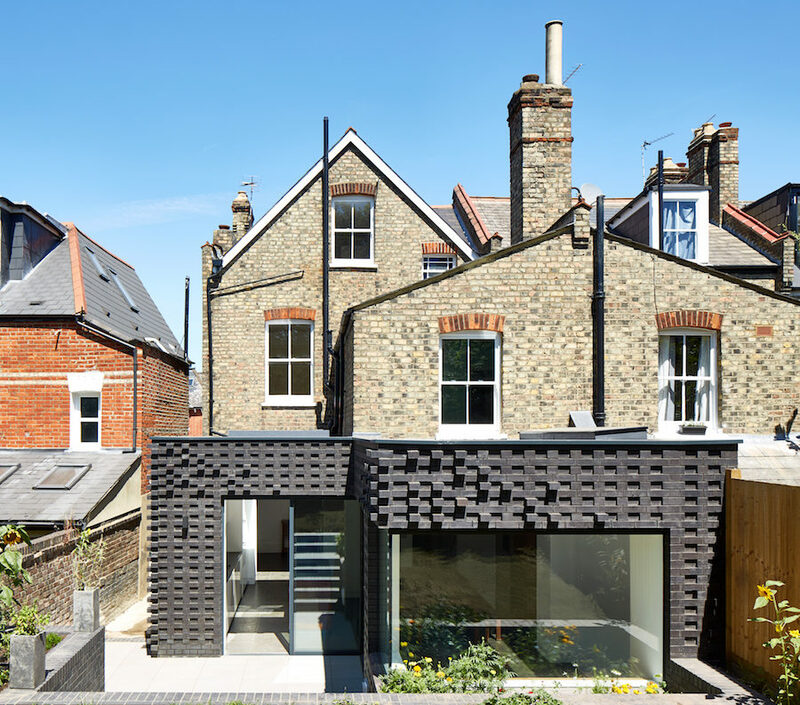 A creative pattern of brickwork adds texture and interest to the extension: bricks have been placed at different recesses and decorated with randomly placed articulated bricks towards the corners of the extension, giving an impression of depth, and creating playful shadows in the daylight. 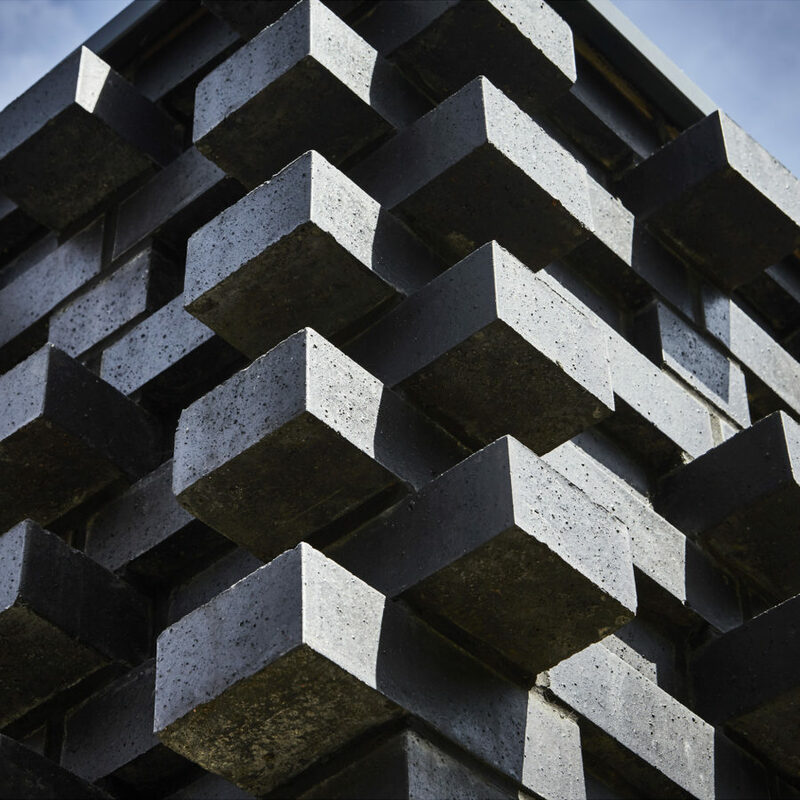 The rugged charcoal colour of the brick provides a striking contrast to the traditional soft yellow stock brick of the rear façade of the existing house.